Luke Brown, Zettagrid’s Technical Specialist, and Evangelist had the pleasure of heading over to New Orleans for VeeamON 2017. As a Veeam Vanguard and vExpert he had some insight into the new products and technologies Veeam are working on. Take a read to find out what he thought of VeeamON 2017! VeeamON 2017 in New Orleans has come to a close and I’m back on board at Zettagrid, catching up on the hundreds of emails I missed. This year’s event was unreal, with over 2,000 attendees and a variety of awesome speakers, it was one of the best events I’ve attended so far. 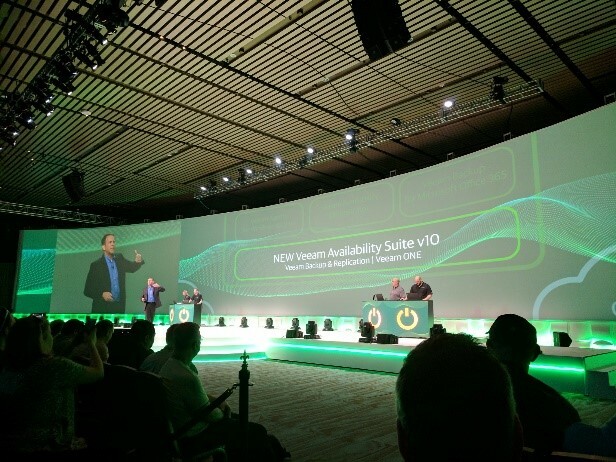 I couldn’t have asked for a better experience from Veeam, not only the event itself but, as I’m lucky to be part of the Vanguard Program I was also given a sneak peek to what the product development teams are working on and some very juicy NDA. The event was full of insight into the latest innovation and product development that I could bring back to the team at Zettagrid, this is what allows us to be current in our product offering, finding solutions for issues that businesses face every day. We have been using Veeam for many years now having developed three product offerings that utilise and embrace the various components of the Veeam suite. vCloud Director support – Yes finally!!!! Oh, and a little thing called CDP which means no longer relying on snapshots, you’ll be able to get super low RPOs! The overall event was great, these events are the best way to grow and learn, engaging with like-minded peers that are just as enthusiastic about all things cloud as I am. https://www.zettagrid.com/wp-content/uploads/2017/10/zettagrid_brandmark_allwhite_0.fw_.png 0 0 admin https://www.zettagrid.com/wp-content/uploads/2017/10/zettagrid_brandmark_allwhite_0.fw_.png admin2017-05-25 16:13:402017-05-25 16:13:40VeeamON 2017 - What we learned and loved!